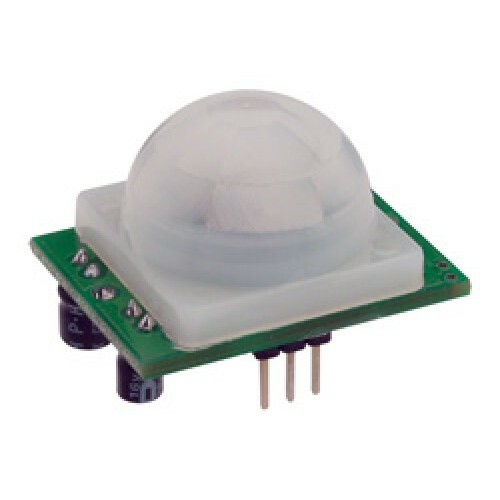 PIR Motion Detection Module for Electrical Switching Arduino Raspberry PI is a pyroelectric device that detects motion by measuring changes in the infrared (heat) levels emitted by surrounding objects. When motion is detected the PIR Sensor outputs a high signal on its output pin. This logic signal can be read by a microcontroller or used to drive an external load.